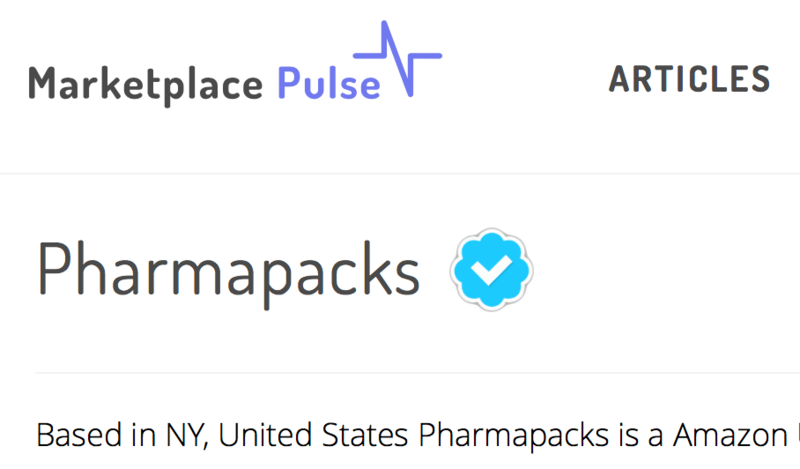 Verified Sellers - the Future of Amazon Marketplace? Sellers on Amazon are anonymous - the seller name can be anything, it doesn’t need to match a business name. For example enter “River Colony Trading” into Google and notice that this name doesn’t come back as a business name. Sellers do provide their business information to Amazon, but this information is not displayed publicly. For most sellers it is very hard to tell what is their business name or phone number, or even if they are based in the US. We think Amazon should introduce a Verified Seller status. A verified seller is checked by Amazon to have a valid business, no history of counterfeit, good rating, etc., but also willing to publish their business information. It’s a seller who doesn’t need to hide behind the anonymous name. Today the only way to decide if a seller should be trusted is based on previous reviews and if they are using FBA for shipping or not. There isn’t much else to differentiate serious retailers from one-off sellers. Yet the concept of trust is key in the marketplace. Recently released Nintendo Switch is a high-demand, but sold out everywhere product. No seller on Amazon has the buy box for it because they are all above the $299.99 MSRP price. This product is offered by close to 500 different sellers, out which a good portion are “just launched” sellers (sellers who haven’t sold a product before). The cheapest prices are from those “just launched” sellers. Customers are thus left to decide which seller to pick, and if they do pick the cheapest it is almost guaranteed that they’ll never see their product as new sellers offering great deals are often scam sellers. A popular product like Nintendo Switch with a chaos of new sellers is hurting Amazon as a brand. Many customers come to Amazon expecting to find it there, but end up confused who to buy it from. This particular product got so bad that even the media started writing articles like “Amazon choked with Nintendo Switch scams”. In our vision this product would only be offered by verified sellers, or if no available shown as sold out. It is better to be out of stock, than try to buy from untrusted new sellers. This would be beneficial to all parties. Being anonymous benefits scam sellers and counterfeit sellers, but adds no value to true retailers. Retailers would benefit by being transparent about their business, since those running fraud couldn’t do the same. Facebook and Twitter have adopted this technique to make it obvious which accounts are verified to be true to their name. Instead of trying to police every new account and automatically suspend everyone claiming to be that famous person, they mark the famous person’s account as verified. This makes it very obvious to users if they are following the real one. Many manufacturers have been struggling with the marketplace since they cannot easily police who are selling their products on it. In the verified sellers vision they could see everyone’s business information, and thus be confident about their partnerships. And enforce Minimum Advertised Price (MAP) without having to jump through hoops trying to uncover anonymous sellers. Amazon UK and other EU marketplaces are already not as anonymous, as by EU law Amazon is required to disclose all sellers’ business information. 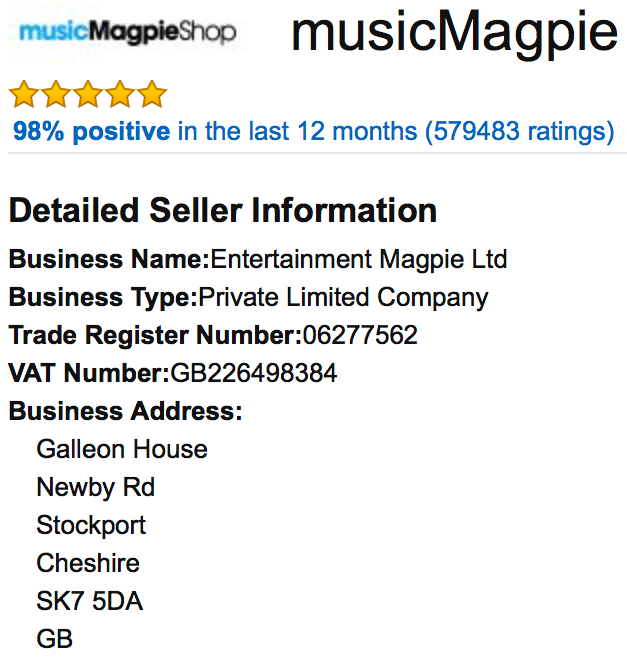 Anyone can click on any of the sellers and see where they are located, and could even check their business standing. There is no practical reason why a solid retailer would hide their business information, so European Union enforces it for everyone. It is worth adding that while Amazon might never do this change, the US states and government might try to enforce it. There is an increasing amount of talk on marketplace sales tax collection, which is currently hard to research since sellers are anonymous and Amazon doesn’t disclose much about the marketplace. It is not unlikely for Amazon to be forced to make some changes and move away from the anonymous marketplace. As Amazon marketplace grows it is becoming a market moving tens of billions of $ a year, so it is only natural to start thinking about the concept of a seller more seriously. While there are many sellers selling a few products a month, there are plenty of sellers with more than $50 million in sales. While thousands of sellers join every day, all with new counterfeit, scam, MAP, etc. issues, it creates a lot of chaos for existing sellers and the marketplace as a whole. This would be a transformational shift for the marketplace. It would make trusting sellers easier, it would make scam/fraud/spam sellers harder, and it would make the marketplace a much more serious place. Anonymity is there because it’s always been like that, but we think it is time to change.